This recipe is long overdue. 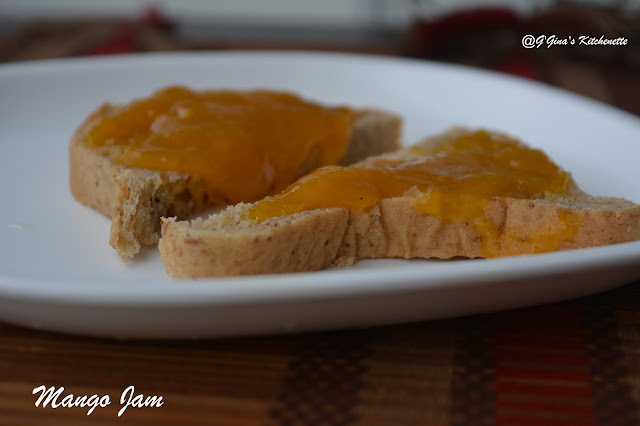 I wanted to post this soon after the Mango Jam Rolls in which I had used the same jam batch. 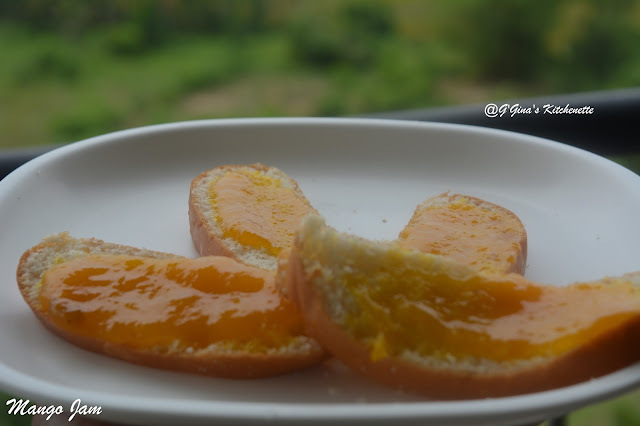 Although in India, Mango season has come and gone, I am sure a lot of places still get a good lot of mangoes. 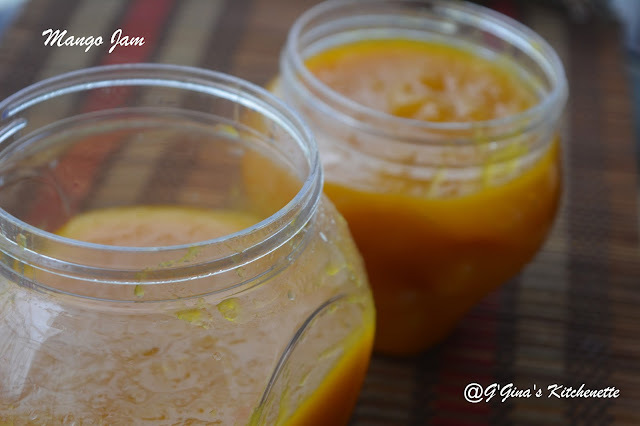 During this mango season, I had a wonderful time making recipes using different types of Mangoes. 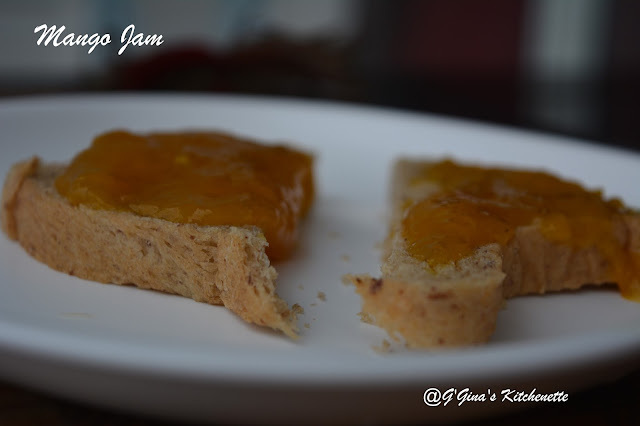 This one is special though as it reminded me of Mum who taught me my first ever Jam. 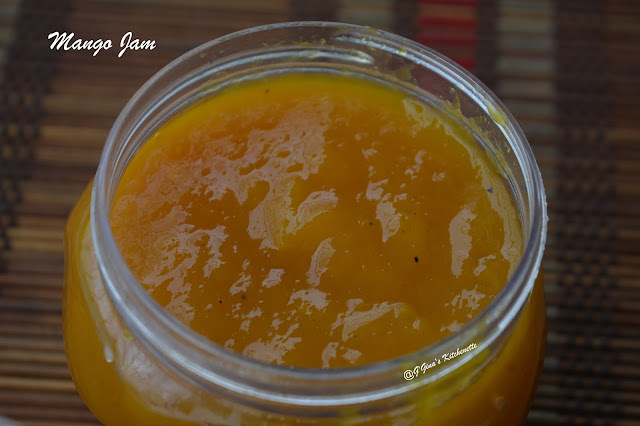 You can make this Jam with any kind of non-stringy mango variety. For this one, I chose Alphonso mangoes. 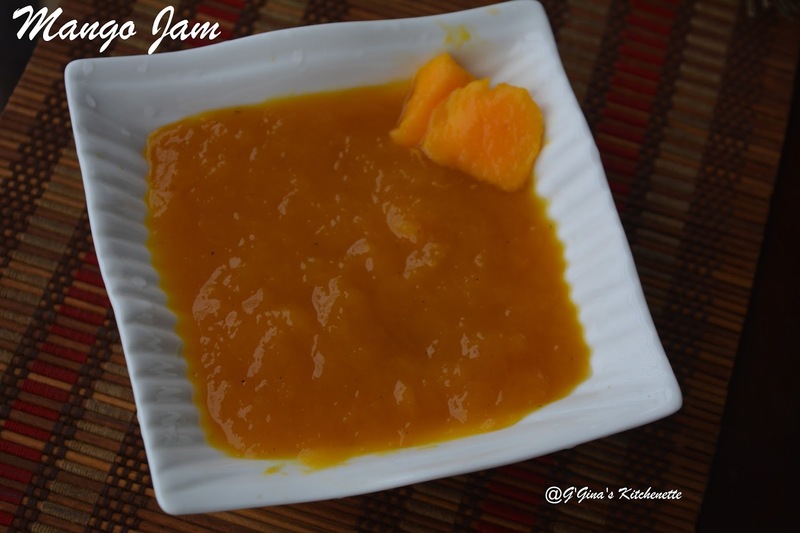 I did not want to use Pectin either as Mum never used it and I am sure with reason. *Make sure that all utensils including the spoons and ladles are properly sterilised and dried. 1. In a large pot, place the mangoes, sugar, lemon juice over medium-high flame.Once the sugar comes up to a boil, reduce the flame to sim. 2. Cook the mangoes for at least 5-10 minutes and mash the cubes with the ladle. 3. 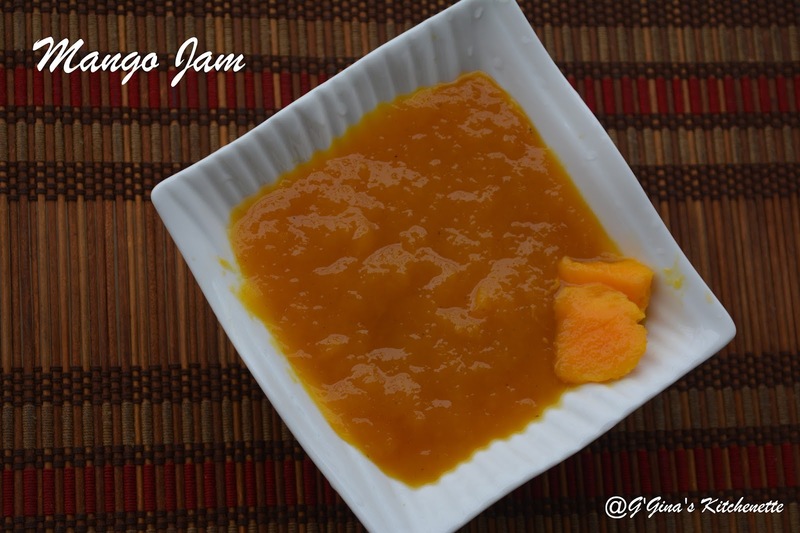 Cook for another 5 minutes and the resultant mangoes will be cooked and thickened. 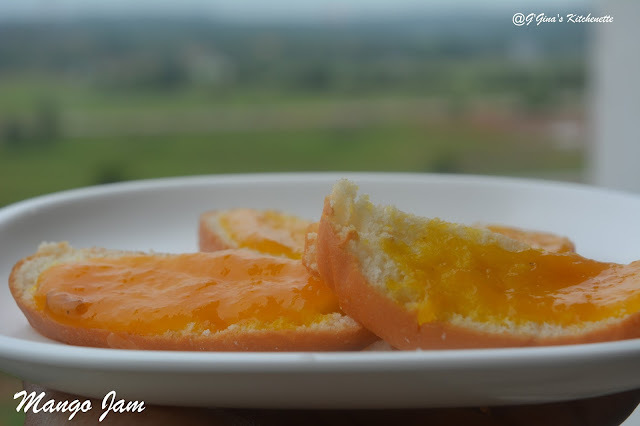 Test the jam on a plate by drawing a line on it. If it is firm and not runny, then you are good to go, otherwise test cook for another 3-5 minutes. 4. Set aside from the flame and allow it to cool which will continue the jam thickening process. Serve on your favourite toast or can be used in your favourite savoury dish as well. Spicy prawns may go well with this jam.